Shrouded in a heavy hooded cloak, an elderly man looks down with a deeply furrowed brow. 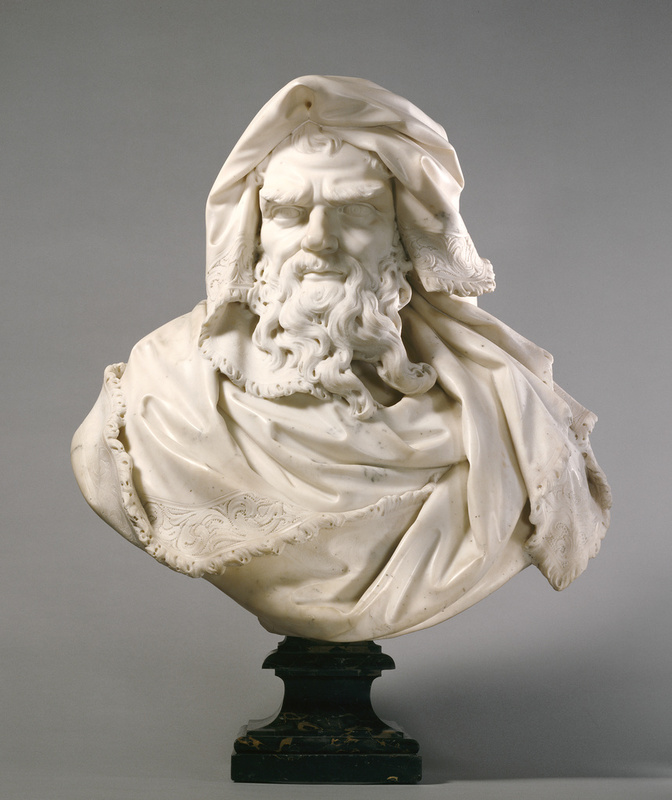 As a personification of winter, the bust gives visual expression to the chilling cold of that season. His old age refers to winter's occurrence at the very end of the calendar year. Paul Heermann used delicate drillwork to create the border and ruffle on the cloak and the undercut locks of his long beard. 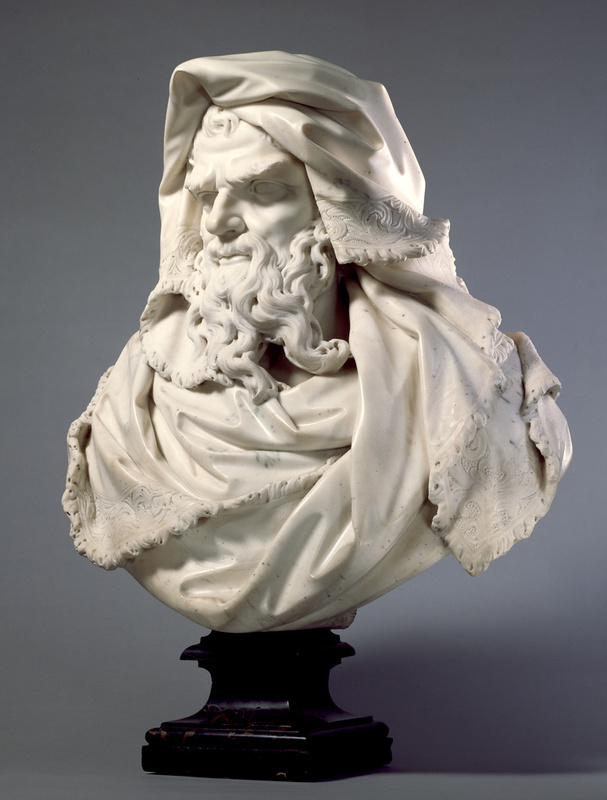 The shadows made by his protruding forehead and the folds of his hood contrast dramatically with the luminous white of the marble, heightening the figure's psychological force and presence. This bust was probably part of a series of sculptures personifying the four seasons. At Versailles, Charles Le Brun established the fashion of including statues of the seasons in the program for garden sculpture. The high level of finish and finely worked details of this bust, however, suggest that Winter was meant to be viewed up close, in an indoor setting. Private Dealer (Paris, France), sold to the Heim Gallery, by 1966. Heim Gallery (London) (London, England), sold to the J. Paul Getty Museum, 1982. Heim Gallery, London. Aspects of French Academic Art, 1680 1780. June 10 August 26, 1977, unpaginated, lot 24, ill.
Fusco, Peter. Summary Catalogue of European Sculpture in the J. Paul Getty Museum (Los Angeles: J. Paul Getty Museum, 1997), pp. 59, 62, ill.
Schmidt, Eike D. Paul Heermann (1673-1732): Meister der Barockskulptur in Böhmen und Sachsen: Neue Aspekte seines Schaffens (Munich: Sascha Mehringer, 2005), pp. 26, 28, 67, ill.
Bialonowska, Magdalena. Andrzej Stanislaw Ciechanowiecki. Kolekcjoner, marszand i mecenas (Lublin: Towarzystwo Naukowe KUL, 2012), p. 156.